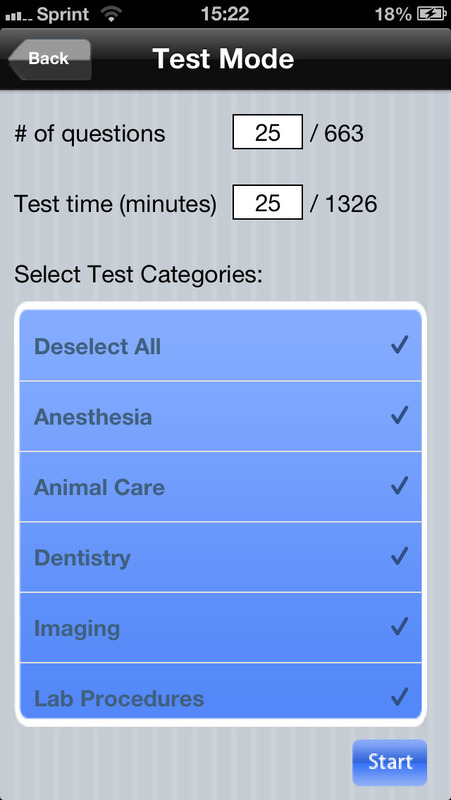 Veterinary Technician National Examination Prep is Upward Mobility’s focused VNTE exam preparation app for the iPhone and iPod Touch. This module contains a targeted curriculum of 400 simulated exam questions that deal with the successful knowledge required of the successful entry-level veterinary technician. Each question is paired with a clear and insightful explanation, ensuring comprehensive understanding of the material. On a basic level, the VTNE Exam identifies and assesses whether a prospective veterinary technician has the competency and skills to practice successful and to be credentialed. Additionally, the exam identified a working knowledge of patient care, medication dispensation, assessing illness and injuries, and general veterinary assisting. By assessing learned knowledge in practical questions, Upward Mobility’s VTNE Exam Prep will help to successfully bridge the gap between your education and practical patient application. The intuitive Study Mode interface allows you to track your progress through the application and return to difficult questions during your review. Test mode allows you to take the course as a sample VTNE Exam and quickly review the questions and areas in which you may need extra help. This app is neither affiliated with nor endorsed by the AAVSB.